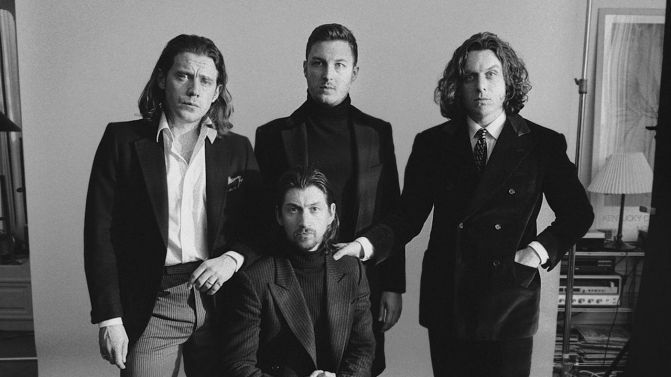 Arctic Monkeys have unleashed four new songs from their forthcoming album Tranquility Base Hotel And Casino at a show in the US. They used their San Diego show to debut the new songs, bringing Tame Impala’s Cam Avery on-stage for two of the new cuts. The band won’t be releasing any singles before the album’s release next Friday so fan live recordings are the only taste you’re going to have of the album before then. They played ‘Four Out of Five’, ‘One Point Perspective’, ‘American Sports’ and ‘She Looks Like Fun’ off the record alongside old favourites. In case you were wondering plenty of old songs like ‘I Bet You Look Good on the Dancefloor’ and ‘View From The Afternoon’ also made it to the setlist. Check out the live recordings below. The album is out 11th May.